Geraniums were once considered the "must have" plant for English gardens and with over 400 species it wasn't long before cultivars developed popularity with gardeners world wide. Buyers beware however as perennial geraniums are not related to annual geraniums which are actually in the genus Pelargonium. A true geranium is a cold hardy perennial that will prove to be long-lived and add years of beauty and graceful charm to any garden. Plant Highlight: Geranium (Cranesbill) Botanical and Common Name: Perennial Geranium is also called Cranesbill because of the shape of the seed pods once the petals have faded. Seed heads snap open like bird beaks to release the seeds. Hardiness Zones: Geranium is hardy in zones 4 - 9. Bloom Time & Color: Most hardy geraniums bloom for months beginning around May and continuing until October or November. If the cup shaped flowers fade in the summer heat trim the plant back and water deeply to encourage repeat blooming. Plant Category: A true geranium is a hardy perennial. Originally cultivated from native alpine plants they are very cold hardy. Foliage: The foliage of most geraniums is finely divided or lobed. Growth Habit: Many cranesbill geraniums have slightly sprawling growth habits that become lanky with over fertilizing. Dimensions: Geraniums come in sizes ranging from 6-8" all the way to 3' or taller. 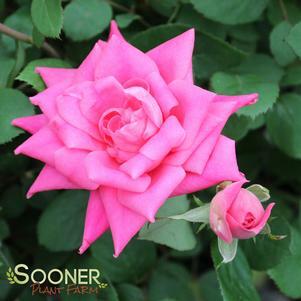 Check specific cultivar information for details. Preferred Conditions: Geraniums prefer light shade to full sun except in hot humid areas where part shade is best. Well-drained soil is best. Maintenance: Easy to keep, geraniums seldom require any extra care at all except some fertilizing at the beginning of the growing season. Sometimes if blooms fade in the heat of summer trim the plant back, snip off the spent blooms and water deeply to encourage a new flush of blooms that will last until winter frost. Fertilize once at the beginning of the growth season to prevent lanky growth that will result with too-frequent fertilizing. Pests or Diseases: No real pests or diseases cause problems for cranesbills. Propagation Methods: Many Geraniums set seed and it is the seedpods that give cranesbill the common name. Some hybrids are sterile or do not come true from seed so divisions can be taken or cuttings grown for propagation that holds true. Cuttings can be difficult to root so division is easier for propagation reasons, but seldom necessary for plant heath. Companion Plants: Geraniums do well planted under and through other small shrubs and one particularly nice arrangement I noticed was a purple flowering geranium ('Victor Reiter') planted under an Azalea with apricot blooms. The combined plants looked stunning intertwined together. 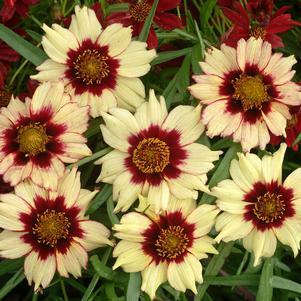 Consider other summer blooming plants such as garden phlox, Coreopsis,, or Gaillardia. Seasons of Interest: Spring foliage and buds emerge early and the plants grow quickly to allow the geraniums to be in bloom around May. Flowers last until fall, and some until winter frosts. Most species are not evergreen but a few are as noted below. Uses in the Garden: Great for mixed borders, under shrubs and small woody trees, or in containers. Varieties & Cultivars Geranium 'Brookside': This geranium is hardy and has a better blue than the previous 'Johnson's blue' cultivar. Lacy fine foliage is a beautiful mound of grey-green color that offsets the large bowl-shaped Geranium blossoms that are true blue with white eyes. Divide 'Brookside' every 4 or 5 years as needed. For more info on purchasing this item click here. Geranium 'Tiny Monster': A sterile hybrid, the 'Tiny Monster' must be propagated through division or cuttings, which can be difficult to root. Bright, warm magenta-purple flowers cover this hardy ground cover from June through early fall. The 'Tiny Monster' Geranium grows 12" high but will spread out 24-26". For more info on purchasing this item click here. Geranium cinereum 'Carol': Another amazing Geranium ground cover, 'Carol' is much more compact reaching only 6" high but spreading to 12". The Carol Cranesbill is covered in velvety purple-pink flowers with dark veins running through the petals making them highly attractive. I would love to see this Geranium paired with the velvety foliage of Lamb's Ear as a border edging. For more info on purchasing this item click here. Geranium cinereum 'Purple Pillow': Evergreen to semi-evergreen foliage is compact and less sprawling than other Geranium types. This cranesbill is a quick grower but well-behaved growing to form 6-8" mounds suitable to planting underneath deciduous shrubs or as edges of a border. 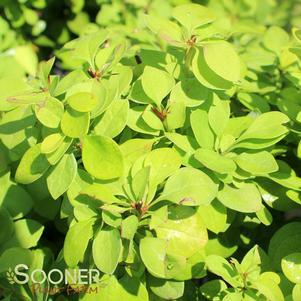 The foliage is slightly fragrant and is a maroon purple color that accents the bright purple blooms nicely. For more info on purchasing this item click here. Geranium hybrida 'Rozanne': This Geranium is a spontaneous hybrid that was nurtured and cultivated because of the beauty and grace it has in the garden. One of the best marbled-foliage Geraniums, the 'Rozanne' (sometimes misspelled Rosanne) is a strong bloomer that produces large purple-blue flowers from June through October almost continuously. Sometimes hot summer will cause a pause in blooming so trim the Geranium back and water deeply to encourage repeat blooming. The 'Rozanne' is a sterile hybrid so plants must be propagated through cuttings (difficult) or division although this cranesbill does not typically require any division. For more info on purchasing this item click here. Geranium pretense 'Victor Reiter': The 'Victor Reiter' is another stunning cultivar with beautiful purple stems and buds that appear every spring as the plant emerges from dormancy. Soon the Geranium is 2-3' tall or more, one of the largest hardy Geraniums. The blooms on this Geranium are a darker, richer purple than usually offered. For more info on purchasing this item click here. This 'Plant Highlight' was written exclusively for Sooner Plant Farm by Angela England .To read more from this talented writer about other highlighted plants and interesting gardening stories click here. All copyrights reserved by Sooner Plant Farm. No reproduction of this article in whole or in part is allowed without the permission of Sooner Plant Farm. Best quality product I have received from eComerce plants. Keep the good work up.